Sarah Finch is a PhD candidate in Nutrition and a registered dietitian. She is co-supervised by Dr. Hassan Vatanparast (Nutrition) and Dr. Alan Rosenberg (Pediatrics). Both her undergraduate and MSc degree are in Human Nutritional Science with her undergraduate degree from the University of Manitoba and her MSc from McGill. In 2013 Sarah joined the college as a research assistant where she worked a study that assessed the acceptance of a reduced sugar chocolate milk in elementary school children. Prior to moving to Saskatchewan, she worked as a dietitian and dietetics manager for a home care company in Ottawa. She has worked with all age groups that have varying backgrounds and conditions. Her research experience has centers on maternal and child nutrition with emphasis on vitamin D. Her PhD research focuses on understanding how vitamin D affects disease activity in Canadian children who are suffering from juvenile idiopathic arthritis. Sarah’s Research is funded by the Jim Pattison Children’s Hospital Foundation. Sarah is also involved research evaluating the effectiveness of a cultural competency development class for undergraduate dietetic students titled Linking Immigrants and Nutrition Knowledge. As well as research into beverage choices of new immigrant and refugee children to Saskatchewan and the impact on their health. Sarah has presented her results as poster and oral presentations at several conferences. Sarah has presented for both the Adult and Children’s arthritis education days offered by the Arthritis Societies where she discussed the importance of nutrition for this disease. She plans and facilitates a yearly intercultural communication workshop for 2nd year dietetics students, and was involved in the creation of an educational booklet to provide nutrition information and education to newcomers to Canada. She has mentored students in nutrition, and public health, including some students at graduate level. Sarah has also been involved in the planning and facilitation of educational days/ symposiums related to the promotion of her field. She is the project manager for the Public Health Nutrition Research Network where she has planned and facilitated the annual symposium to promote, encourage and support those working or interested in the field of public health nutrition to perform research. 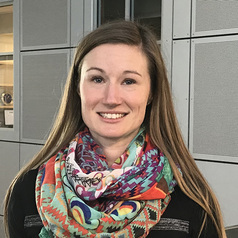 During her PhD studies, Sarah has received a number of awards, including (2017-2018) Saskatchewan Innovation and Opportunity Scholarship, (2017) Canadian Obesity Network Obesity Summer Camp Scholarship (2016-2017) Elizabeth Helen McLeod Scholarship, (2015 & 2016) Canadian Home Economics Foundation Graduate Student Award, (2014-2015) Incentive Graduate Student Scholarship. Henry C, Whiting SJ, Finch SL, Zello GA, Vatanparast H. (2016). The impact of replacing regular chocolate milk with the reduced-sugar option on milk consumption in elementary schools in Saskatoon, Canada. Appl. Physiol. Nutr. Metab. Published on the web January 12, 2016. Henry C, Whiting SJ, Phillips T, Finch SL, Zello GA, Vatanparast H. (2015). Impact of the removal of chocolate milk from school milk programs for children in Saskatoon Canada. Appl. Physiol. Nutr. Metab. 40(3):245-250. Hazell TJ, Pham TT, Jean-Philippe S, Finch SL, El Hayek J, Vanstone CA, Agellon S, Rodd CJ, Weiler HA. (2014). Vitamin D Status is Associated With Bone Mineral Density and Bone Mineral Content in Preschool-Aged Children. J Clin Densitom. 18(1)60-67. El Hayek, J., Pham, T.T., Finch, S., Hazell, T.J., Jean-Philippe, S., Vanstone, C.A., Agellon, S., Rodd, C., Rauch, F., Weiler, H.A. (2013) Vitamin D status in Montréal preschoolers is satisfactory despite low vitamin D intake. Journal of Nutrition, 143(2):154-60. Finch, S.L., Weiler, H.A. (2010). Postnatal vitamin D supplementation following maternal dietary vitamin D deficiency does not affect bone mass in weanling guinea pigs. Journal of Nutrition, 140, 1574–1581.